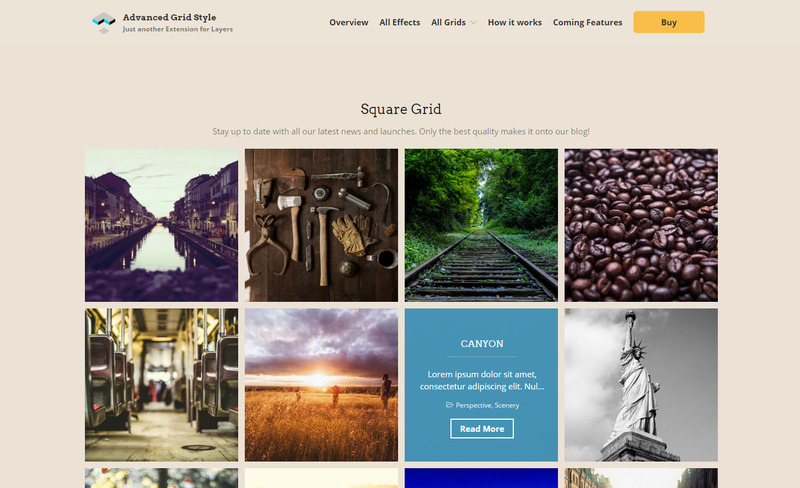 Advanced Grid Style is a LayersWP extension for you to create post grid with various effect styles. 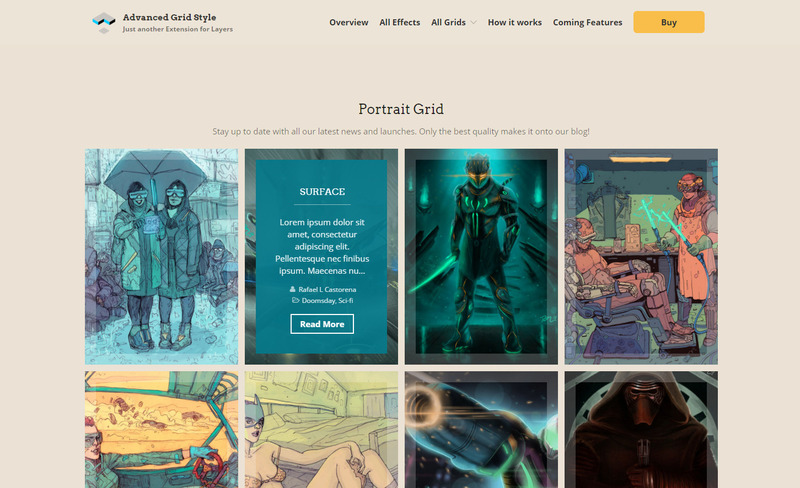 With Advanced Grid Style, you can display any post types or pages content in multi grid view with different effects or dimensions, with filter function and customizing the colors in your LayersWP Customizer. No Need to rebuild your contents! 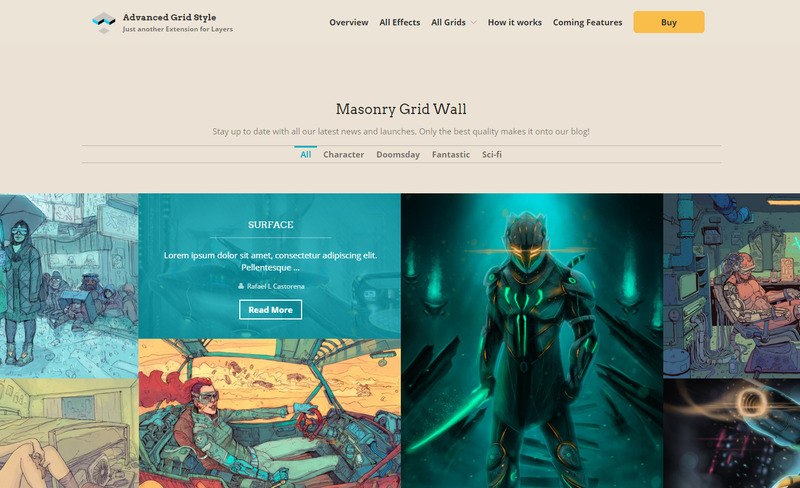 Pure build, our code will only be loaded when your page has an Advanced Grid Style widget, and load as more as the styles you choose. 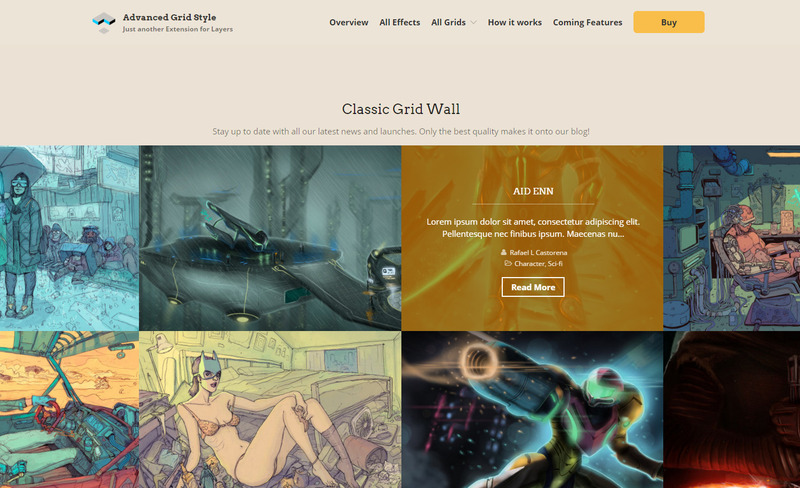 Total plugin folder is only 508kb, simple and more possible! 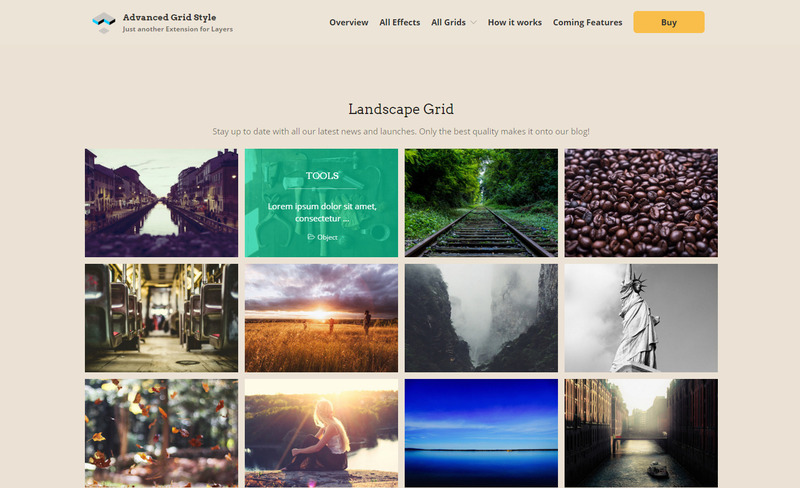 If you are with Layers WP theme, AGS will be one of your most used content builders! 8 high quality Effects, demo. 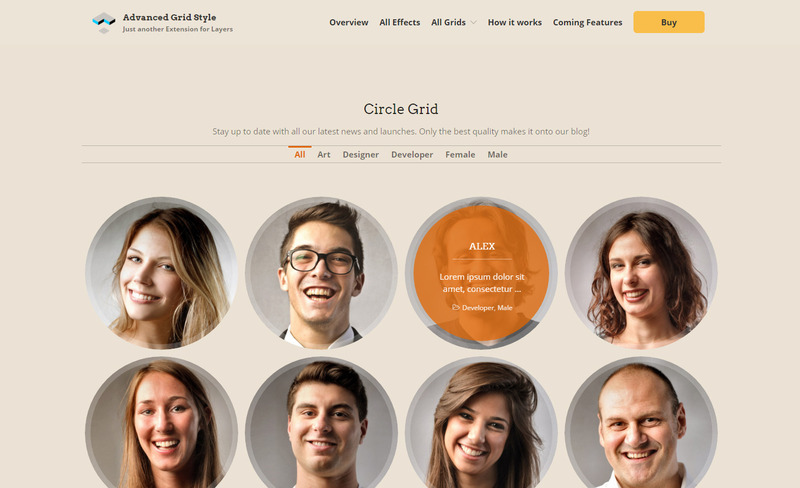 5 Dimension shape options for your grid listing, Portrait, Landscape, Square, Circle, Masonry. Build your media image a lightbox gallery, demo. Works with any posts/pages if they are with a Feature Image. Collecting data sources by Taxonomies or Tags. Support Custom-Post-Types, especially the famous plugin “Custom Post Type UI”. 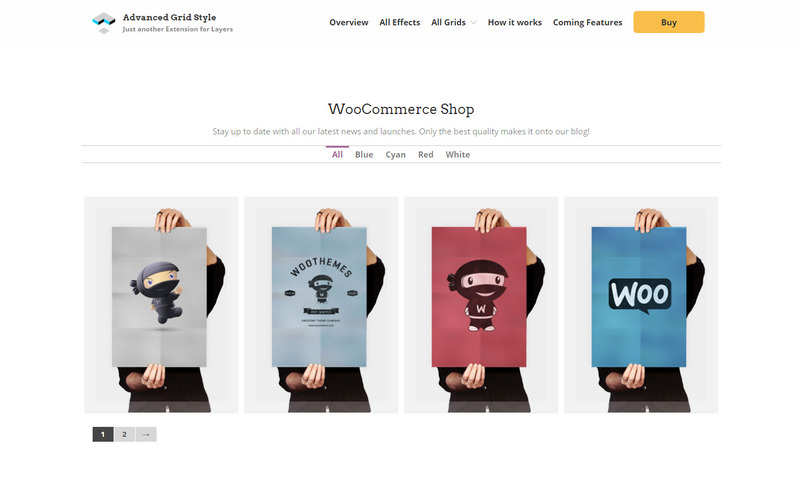 Support WooCommerce Product listing, demo. Support any post type plugins if the post type are regularly registered with WordPress. Fixed a CSS issue when with Chrome. Bug fix: Fixed overlay style issue when using iOS device. 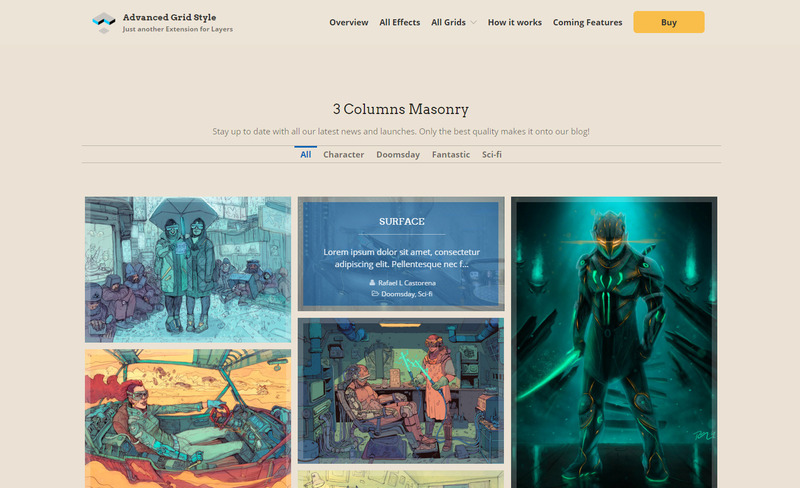 Improved: The queued Images in lightbox are counted by filters now. Updated: Fixed a bug when works with Layers PRO.